The Countess of Wessex opens LVS Oxford, a school for people aged 11-19 who have been diagnosed with Asperger's and Autism. 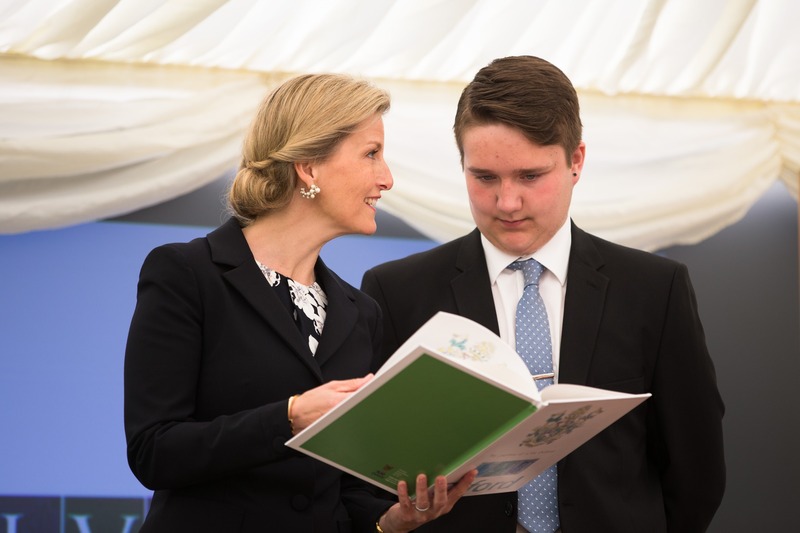 The Countess of Wessex praised LVS Oxford’s work developing the potential of young people with autism today, after officially opening and seeing the new school LVS Oxford, in Begbroke Oxfordshire. LVS Oxford is a school for young people with a diagnosis on the autism spectrum and has a focus on instilling confidence and building learning and independent living skills amongst its forty-eight current pupils. LVS Oxford, and its sister school LVS Hassocks in West Sussex, seek to reverse the trend of just 15% of adults with autism being in full-time paid employment. Both schools have HM The Queen as their Patron. The Countess enjoyed a full tour of the school with its Head Boy Charlie Goode (18 years old) and Head Girl Holly Balchin (15), including a look inside the school’s provision for weekly residential learners who attend from eleven different local authorities. Charlie told Her Royal Highness of his plans to study ICT at university next year, and Holly revealed her ambitions to follow a career in the police force, with The Countess of Wessex impressed by the school’s focus on careers and further education. The Countess of Wessex’s tour included a visit to areas of learning and development for learners including a ‘life skills’ room, where learners practice home based tasks such as cleaning, vacuuming and bed making, and met the school’s therapists who talked about their role in building social and emotional wellbeing through blending therapy throughout the classroom curriculum and timetabled social skills sessions. The Countess also saw four classrooms where learners are currently studying for their GCSE, A-levels and BTECs. Find out more about LVS Oxford on their website.